On Tuesday 13th March, AMPR worked alongside the international fashion giant to launch its online store within Australia and New Zealand. The strategic campaign, inclusive of a VIP event and national influencer and press kit distribution, supported the roll out of Zara.com. 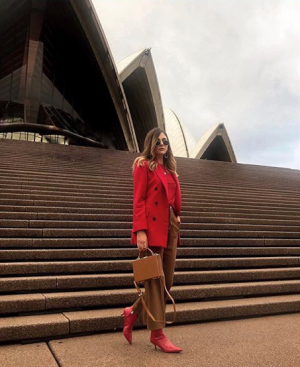 Held at Sydney’s iconic Bennelong Restaurant, Sydney Opera House, guests were able to browse some of Zara’s latest womenswear, menswear and kidswear collections over champagne and canapes, seeing the night off with a spectacular fireworks display. Event attendees were offered exclusive access to Zara.com ahead of the official launch, exploring and purchasing from the Australian online site. Key attendees included major fashion magazine editors, industry stylists, celebrities and influencers.